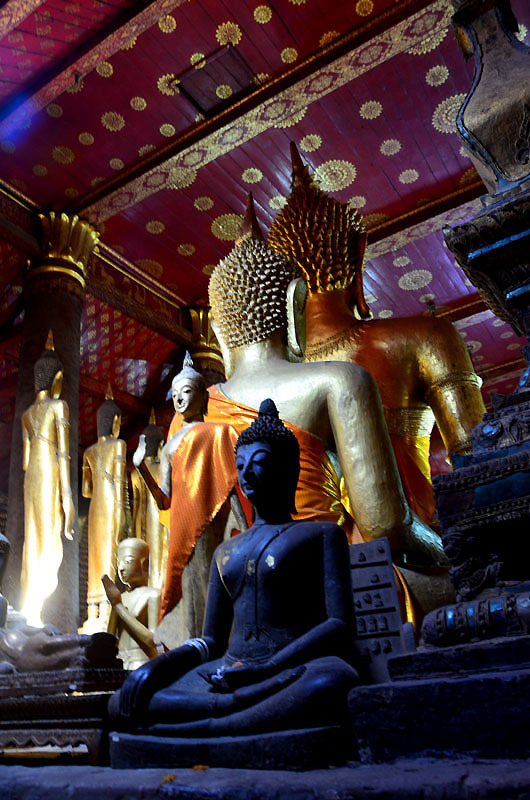 These are two images from the Wat Mai Suwannaphumaham, in Luang Prabang. 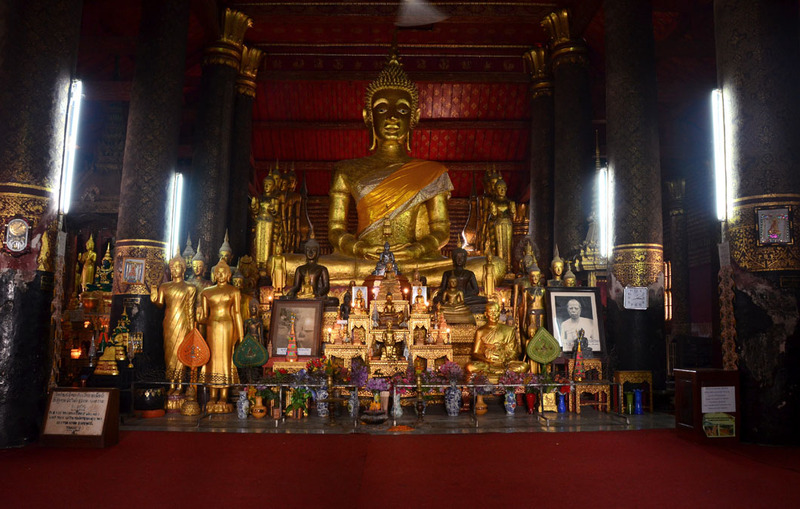 The first is the generic landscape view of the red interior nave and altar, with its array of gilded Buddhas. Gorgeous enough. Take the trouble to perambulate around to the back however, and you will be rewarded with this peculiar, but stunning detail of a smaller Buddha, hidden right behind the large one at the altar! It is surprising that there aren’t many images of this rear view, that I found far more intriguing!! i like the details on the ceiling! The second image is definitely the more intriguing one! Maybe there is a back view to everything?